When I was five years old, I created fantasy world maps. In retrospect, my immediate family can probably take the credit (or blame, if you prefer) for this. Everyone in my family was born somewhere else in the world, and when I was young these magical, exotic names conjured up incredible images. I would search in vain through our family atlas, trying to find these names I could barely pronounce, never mind spell. Maps became sources of wonder and enchantment, and my love for them grew. I am extremely fortunate that my work involves this passion. To date, I have created hundreds of maps for many clients. 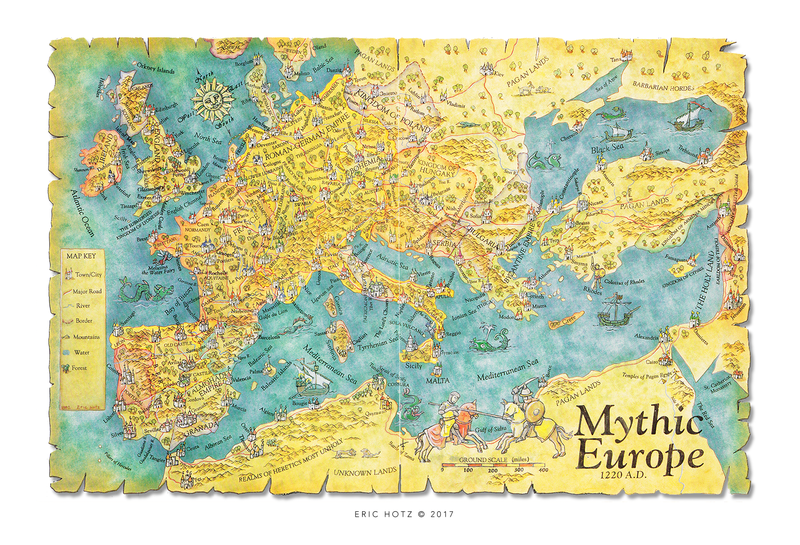 I have created maps for board games, stock market promotion (in print, and on promotional CD/DVDs), historical and fantasy maps in books, magazines, brochures, and a lot more. Heroth Castle. 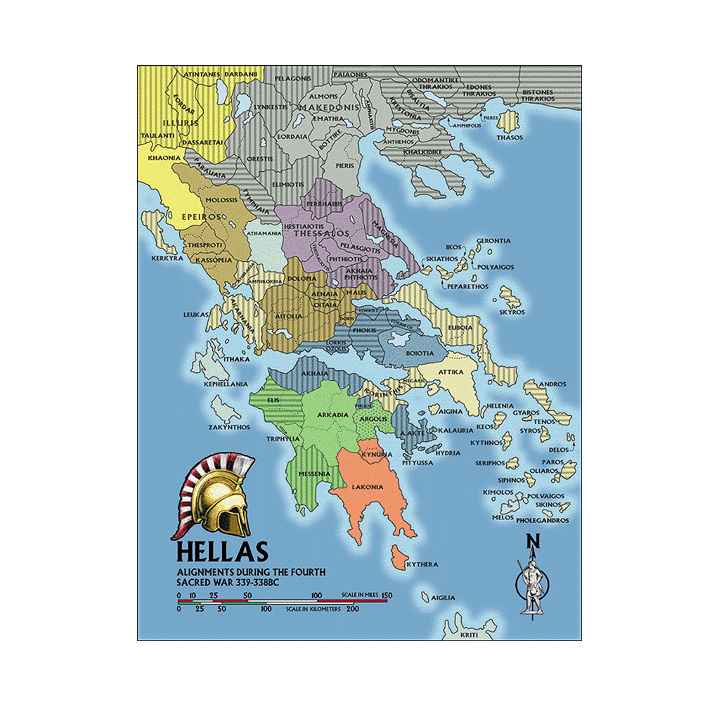 I cannot remember how many similar full color maps I have made for various publishers over the years. 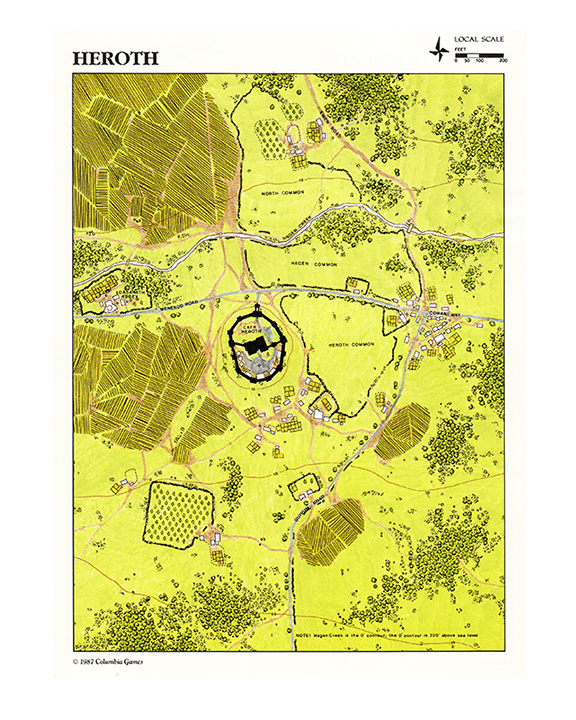 Heroth Castle mapping project was just one such map of a castle and its surround environs. Having worked in field archaeology, and archaeology site surveying, I have a good understanding of how the land influences human habitation, but also how humans change the land. Khe Sanh region, Vietnam, 1968. Over an eight year period I created many full color maps for a US based history military magazine. In many cases, I was needed to create two or three maps showing various troop movements during battles and campaigns including strategy maps. Although highly detailed work, and usually time intense, these sort of projects were are always fun to create. Map of Ancient Greece. This is the sort of typical detail that I like to see and create in my mapping work. This was published in a history magazine. 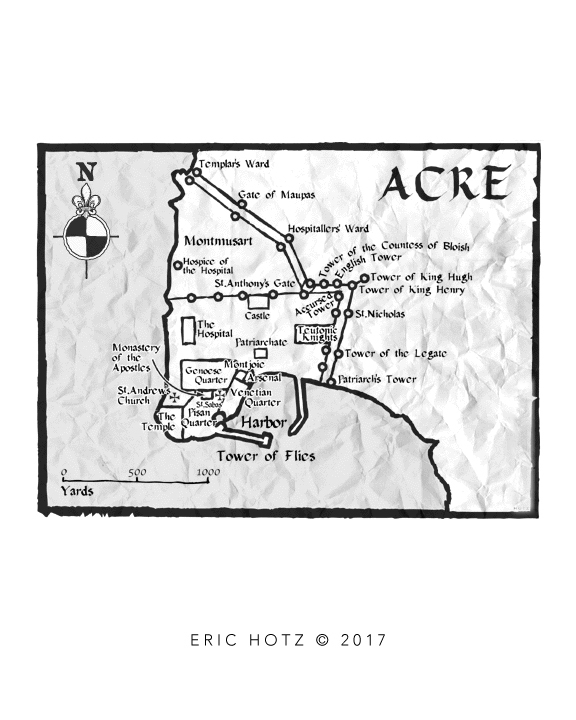 Map of the Siege of Acre, 1291 AD. 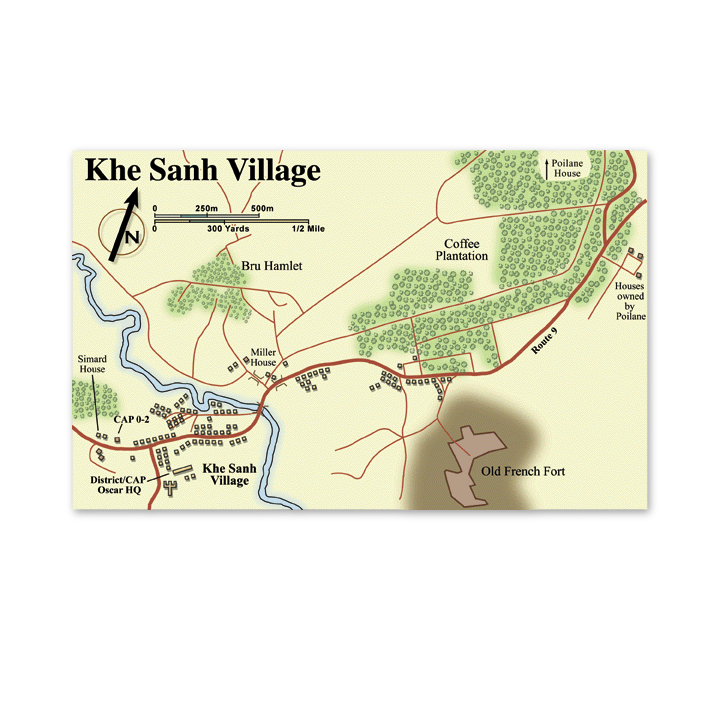 This was just one of many small tonal historical maps I created for a US based game and book publisher. These sort of projects are fun to put together. I probably created over 100 such maps for various publishers over the years.